Title: Eligibility Criteria for Spine Surgery in India: Meta – The affordable cost of Spine Surgery in India, attracts thousands of International patients in the country who are tired of living their life with constant back pain. This article has been curated to help patients determine whether they are the right candidate for spine surgery in India or not. Back pain is a pervasive health problem that affects a significant amount of population around the world. Sedentary lifestyle, next to no physical exercise, an unhealthy diet are some of the major causes of back pain. Over time these unhealthy habits result in significant deficits that can trigger back pain. Typically, back pain can be treated with physical and medicinal therapy, but for severe conditions rehabilitation measures might fail to relieve the symptoms, making spine surgery the last resort for the patient to lead a healthy, active life. Usually, by the time a patient’s doctor suggest him/her to get spine surgery, you might have tried a variety of treatment to relieve your back pain. Surgery is not the first resort, unless the patient has undergone an accident or has a life-threatening spinal deformity. Who is consider eligible for spine surgery in India? When is spine surgery required? Spine surgery treatment might be considered for alleviating pain and preventing nerve damage in patients, who are unable to get any relief from conservative measures. Who is should consider spine surgery? Spinal deformities occur when the spine has a curvature. Although most spinal deformities are usually non-progressive can cause severe pain. What are the natural causes of severe spine problems? In some cases, back pain is caused because natural causes like aging, that cannot be controlled by the patients. Joint Inflammation (Arthritis) – which causes pain and stiffness in the lower back. Intervertebral Disc Height Loss – This results in the spinal bones to become closer, narrowing the nerve opening, present in the spine. Intervertebral Disc Ruptures – The ruptured material in the lumbar spine can compress or put pressure on spinal cord or nerve roots that can cause pain or other symptoms in the legs or back. What medical conditions can cause major spine problems that might require surgical treatment? Degenerative Disc Disease – Is a condition in which the spinal intervertebral discs experiences wear and tear. Degenerative Joint Disease – A medical term that is used for defining spinal joint’s wear and tears. Disc Herniation – Intervertebral discs are cushion-like muscles that separate one spinal vertebrae with other. They are made of an annulus (a strong outer shell) and nucleus ( jelly-like centre). Wear and tear can weaken the outer shell, pushing the nucleus out of its place. This material can compress the spinal nerves, causing numbness, pain, or weakness. Stenosis – A condition that causes narrowness in the spinal canal. This narrowing can occur because of arthritic changes, swelling, poor postural positioning, or intervertebral discs and vertebrae height loss due to an injury, accident or aging. Spondylolisthesis – In this condition, a bone in the spine slips out of its place. 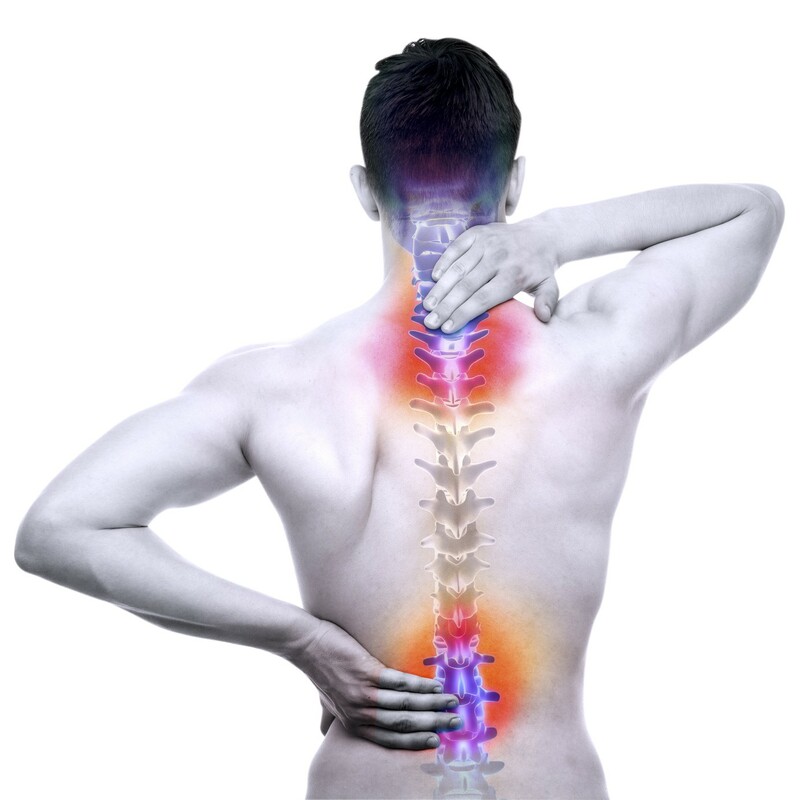 Accidents – Accidents, falls, sprains and fractures are also some common causes of back pain. Pregnancy – Too much weight gain during and after pregnancy can also strain the back. What is the average success rate of spine surgery treatment? Depending on the severity and the cause of the back pain, 90% of patient who had spine surgery are able to get rid of their back pain. However, patients should realise that surgery does not guarantee permanent relief. It is crucial for the patients to take care of their posture and physical health after the surgery, else it won’t be long before they might require another surgery. Spine surgeons usually recommend surgery if the patients are unable to find any relief using the non-surgical treatments. Neurosurgeons have classified spinal surgeries in different types for treating various conditions and treating pain based on their severity. Patients can contact Medmonks and share their reports if they are considering to get spine surgery in India for getting in touch with the best doctors.